These Patriotic Star Cake Pops are simple and plain on the outside, but once you bite into one, a red, white, and blue cake filling is revealed. 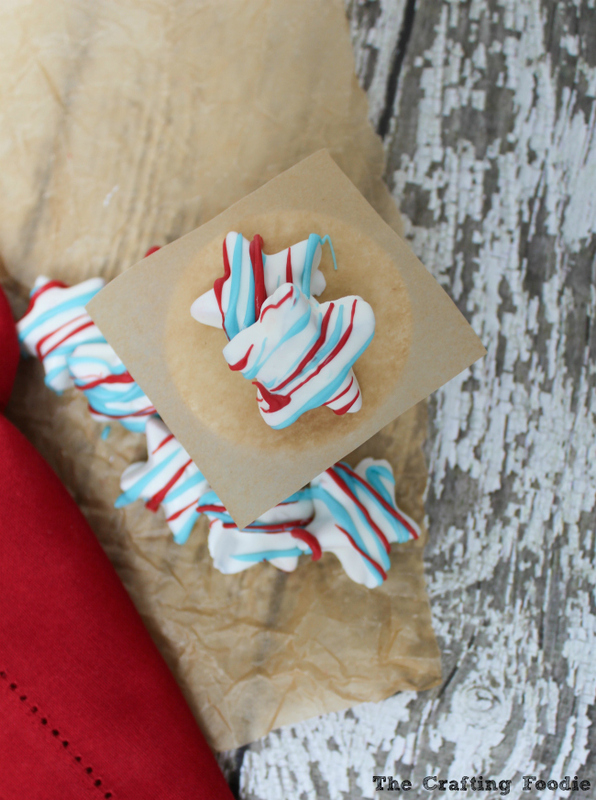 They’re made with red, white, and blue colored vanilla cake and enrobed in bright white candy coating. 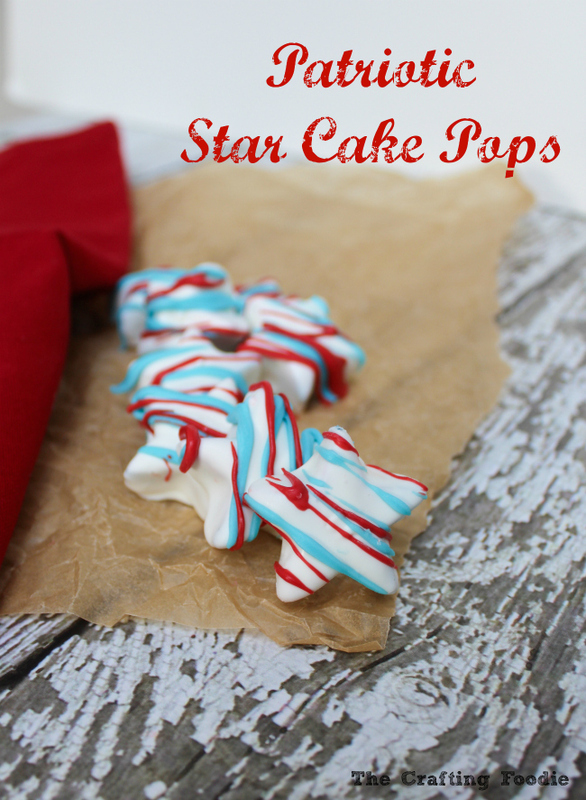 These easy to make Patriotic Star Cake Pops add a festive touch to your 4th of July celebration. For the longest time, I had a love/hate relationship with cake pops. Cake pops are some of the absolute cutest creations. Like decorated sugar cookies, cake pops are an intersection of baking and crafting, and that is right up my alley. But my real motivation to keep trying my hand at cake pops was that my picky kids actually love cake pops. If you read The Crafting Foodie, you know that they reject almost all sweets, and I give away just about 99% of everything I make. Sugar cookies and cake pops are the exception. This past fall, I finally jumped into the cake pop world with these Chocolate Cupcakes Topped with Football Cake Pops, and while they are far from perfect, I was relatively satisfied with how they turned out. So, for holidays, like 4th of July, when we entertain for large groups of adults and children, I try to make something a little more whimsical that everyone enjoys. This year I’ll be making these Patriotic Star Cake Pops. Like all cake pops, there are a few steps that you have to follow, but honestly, it’s very straight forward. Best of all, these can be made ahead of time and refrigerated until ready to serve. The first step is to make the cake batter. You can use the recipe below or you can use a boxed cake mix. If you choose the boxed cake mix, make sure you choose a white cake mix. Once the batter is made, I divided it equally between three bowls. I tinted one bowl red, one blue, and the last one was left white. I baked these cakes in a standard cupcake tin. It made 12 cupcakes – 4 red, 4 blue, and 4 white. Once the cupcakes are baked and cooled, I crumbled each color cupcake in its own bowl. I used my fingers to crumble them into fine crumbs. Once they were completely crumbled, I added just about 1/4 to 1/2 teaspoon of frosting. Since it’s such a small amount of frosting, I used store-bought vanilla frosting. The goal here is to get the crumb mixture to a playdough-like consistency. When I first tried making cake pops, I put way too much frosting into the cake mix thinking it would help hold the cake pops together, and boy, was I wrong! Too much frosting actually makes them oily, and when coating the cake pops, you can run into a lot of problems. After making the cake pop “dough”, I refrigerated it for about 20 minutes. Once chilled, I pinched off a bit of each color. Rolled the three colors into a walnut-sized ball. Then I flattened the ball just a bit. Using a mini-star cutter (about 1 1/2-inches) a pushed the cake pop through the cutter, creating a star shaped cake pop. Then I refrigerated the cake pops for an hour. Once thoroughly chilled, I melted bright white candy coating with a bit of shortening. I let the candy coating cool for about 3 to 4 minutes before dipping. Using a toothpick, I dipped each start cake pop into the coating, and placed it on a parchment lined baking sheet to set. I worked with one cake pop at a time, leaving the rest in the refrigerator to stay cold prior to dipping. 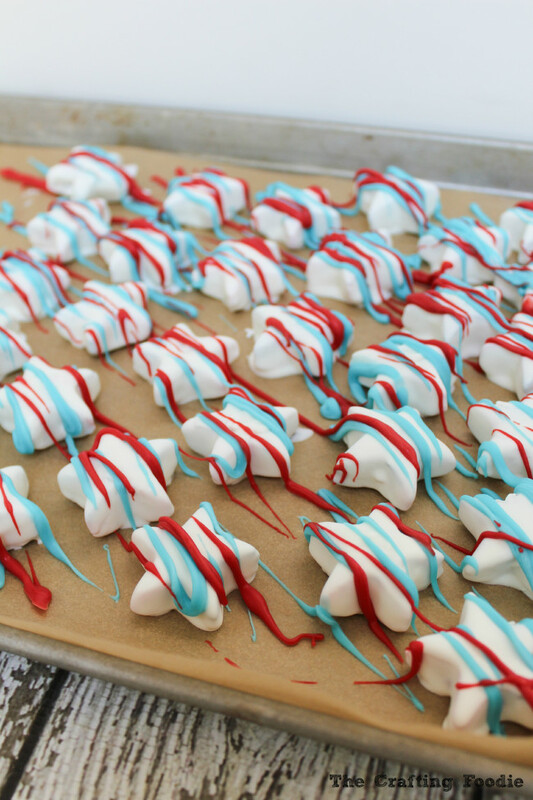 Once all of the Patriotic Star Cake Pops were dipped, I placed the tray in the fridge to cool. While they were cooling, I melted a bit or red and blue candy coating in separate zip-top bags. I snipped the corner of each bag, and drizzled the candy coating on the set cake pops. And there you have it. Some of the easiest and festive Patriotic Star Cake Pops that are perfect for the 4th of July or any other patriotic holiday! 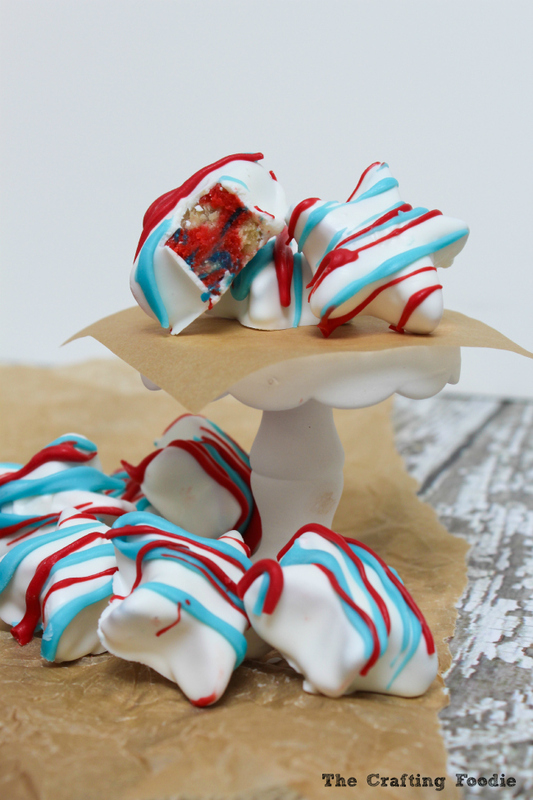 These Patriotic Star Cake Pops are simple and plain on the outside, but once you bite into one, a red, white, and blue cake filling is revealed. 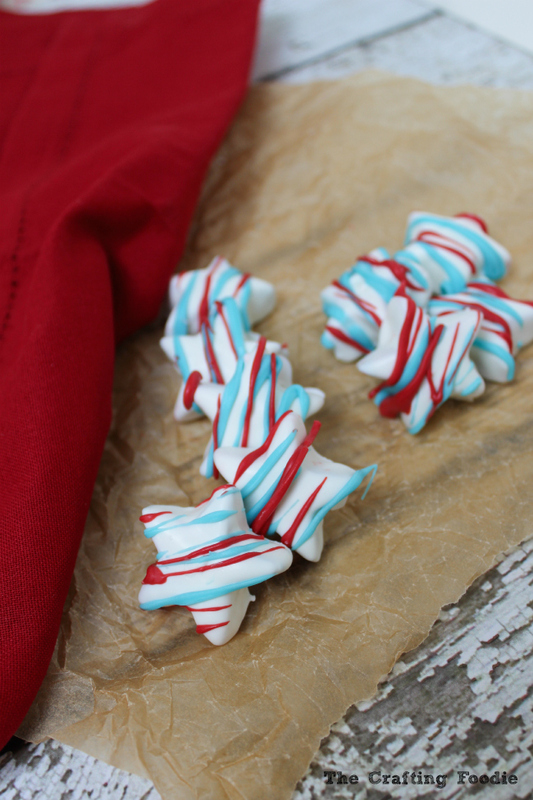 They're made with red, white, and blue colored vanilla cake and enrobed in bright white candy coating. 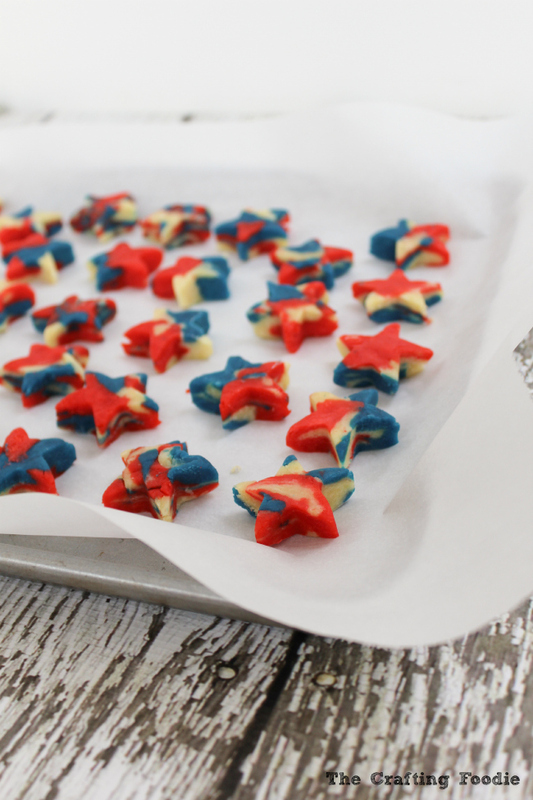 These easy to make Patriotic Star Cake Pops add a festive touch to your 4th of July celebration. In a medium bowl, sift the cake flour, salt, and baking powder. Set aside. In a large bowl, add the oil. Slowly whisk in the sugar. Whisk until combined. Add the flour mixture and milk alternating between the two in three separate additions, starting and ending with the flour mixture. Divide the batter equally between three bowls. Tint one bowl with the red food color, one with blue, and leave the last bowl plain. Fill each cupcake tin ⅔ full. You should have 4 red cupcakes, 4 blue, and 4 plain. Bake for about 20 to 24 minutes or until a toothpick inserted in the center comes out clean. Remove the cupcakes from the tin and allow them to cool completely. See the post for these instructions. My pleasure Adelina! Cake pops can be a little intimidating, and I’m no expert. But I’m going to keep trying because the ideas are endless! Wow, Uncle Sam would be soooo impressed – however, probably NOT as impressed as I AM!! Thanks so much Catherine! I love making little desserts that fit into a fun holiday or theme. Adorable! I love how they’re red, white and blue inside too. Cake pops are probably my least favorite thing to make. 😮 I definitely have not mastered that art. lol You did a great job! Thanks, Michele! I think the inside of the cake pops may be my favorite as well. And I’m no expert at cake pops, but I’m beginning to like them more and more, and these are easy to make because you don’t need to deal with sticks!